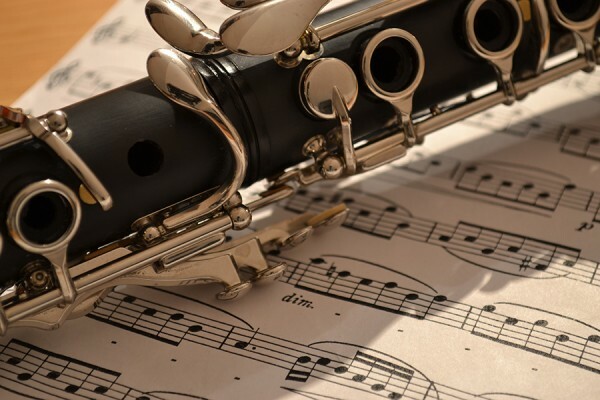 I've played in many musical combinations over the years, and in my quest to do something a little bit different from the usual groupings and pairings, I connected with a a wonderful clarinetist and have been enjoying an exploration of this new (to me) musical union. I wrote this piece with my students in mind - from time to time they enjoy playing something light-hearted and contrasting to the typical Sor/Giuliani/Carulli regimen. And, in truth, if you have your guitar in your hands, how can you be worried?! These traditional Catalan songs were arranged for solo guitar by the legendary Spanish guitarist Miguel Llobet. They appear here transcribed for clarinet and guitar. One of three preludes for piano, this is Gershwin at his blues-y best. The guitar part works very well with the 5th string tuned down to G, and for a big surprise at mm16 and 58, have tune your 6th string down to a low C and play the bass note an octave lower! Ángel Villoldo (1861 - 1919) was an Argentine musician and one of the pioneers of tango. He was born south of the city of Buenos Aires. He was a lyricist, composer and one of the major singers of the era. "El Choclo" (Spanish: meaning "The Ear of Corn" more accurately "The Corn Cob") is a popular song written by Ángel Villoldo, allegedly written in honour of and taking its title from the nickname of the proprietor of a nightclub, who was known as El Choclo. It is probably one of the most popular tangos in Argentina. Giacomo Puccini (1858 - 1924) was an Italian composer whose operas, including La Boheme, Tosca, Madama Butterfly and Turandot, are among the most frequently performed in the standard repertoire. Some of his arias, such as Che Gelida Manina from La Boheme, and Nessun Dorma from Turandot, have become part of popular culture.